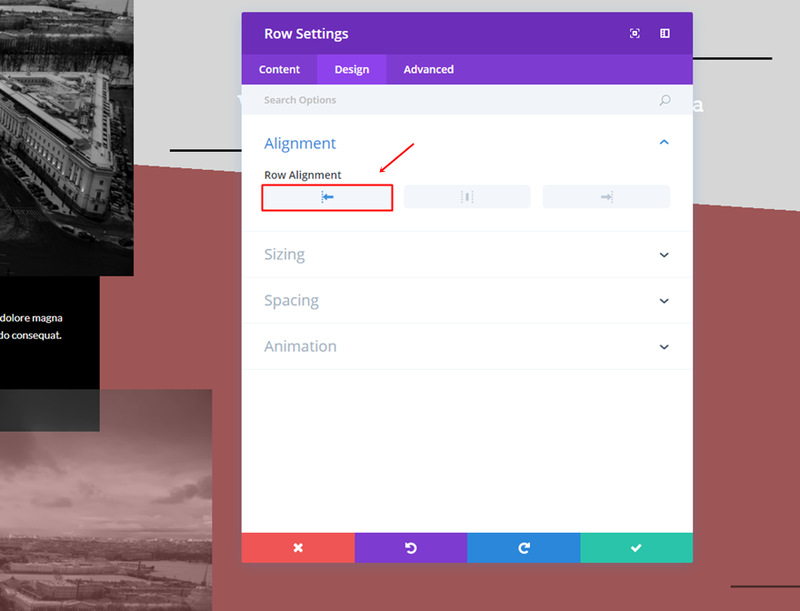 In today’s Divi tutorial, we’re going to show you how you can use the new row alignment options in Divi to your advantage. 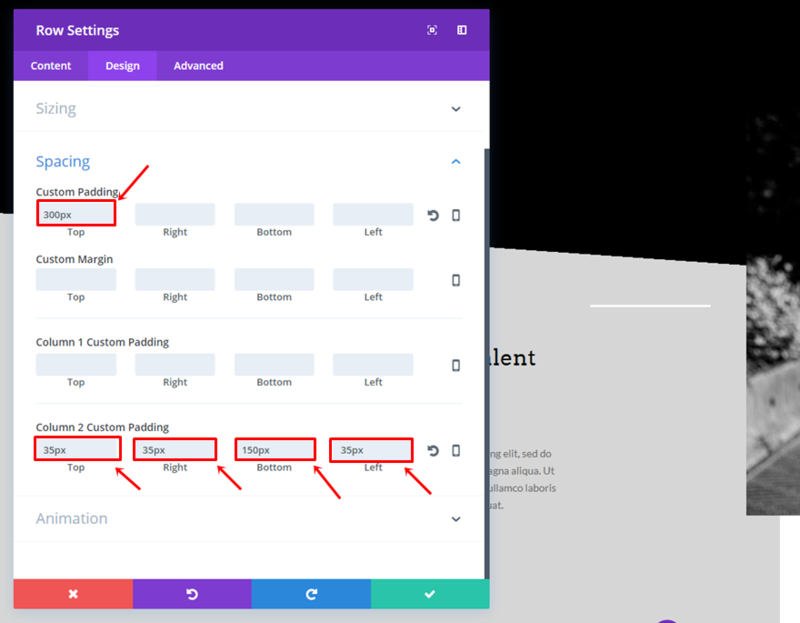 We’ll be combining the row alignment options with other built-in design options to give you an idea of what is possible with Divi’s Advanced Design Options. 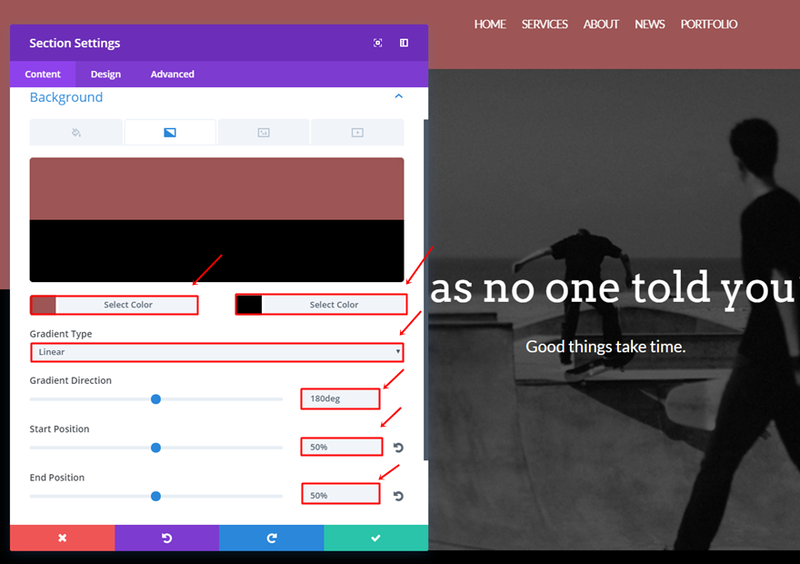 The example that we’ll show you how to recreate contains absolutely no additional code, which means anyone of any skill level can achieve this design. 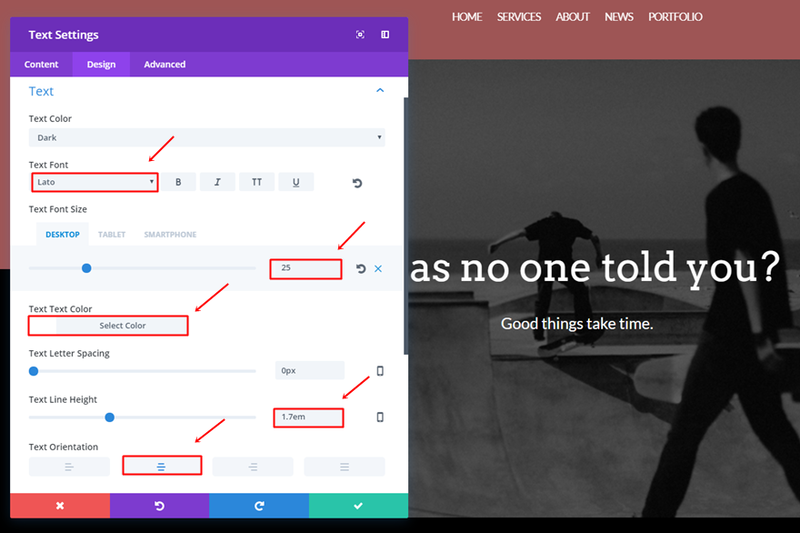 Then, add a one-column row to that section and open its settings. The first thing we’ll need to do is add a color overlay. You can choose how dark you want your image to be by selecting a dark gray color. In this case, we’ve used ‘#595959’. 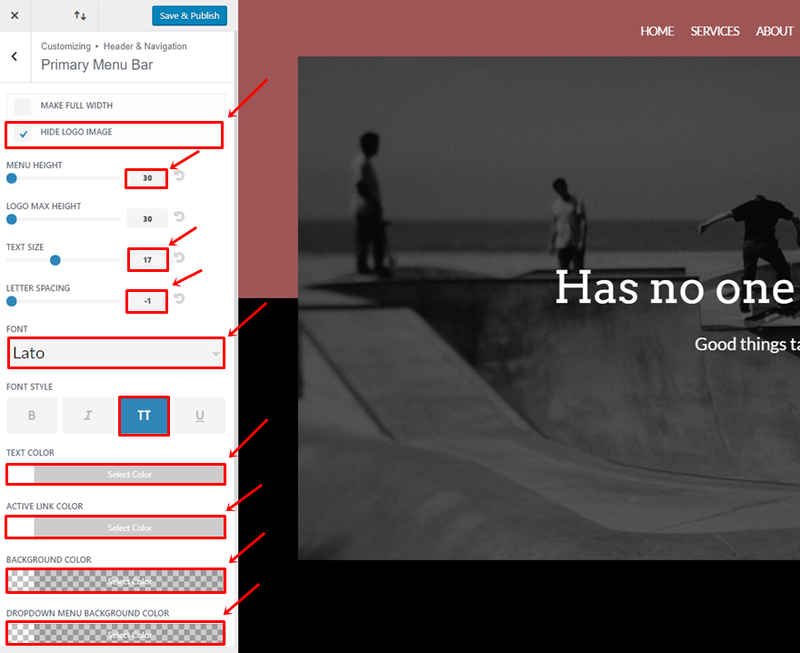 The next thing we’ll need to do is add a background image to the one-column row and make the color overlay apply. 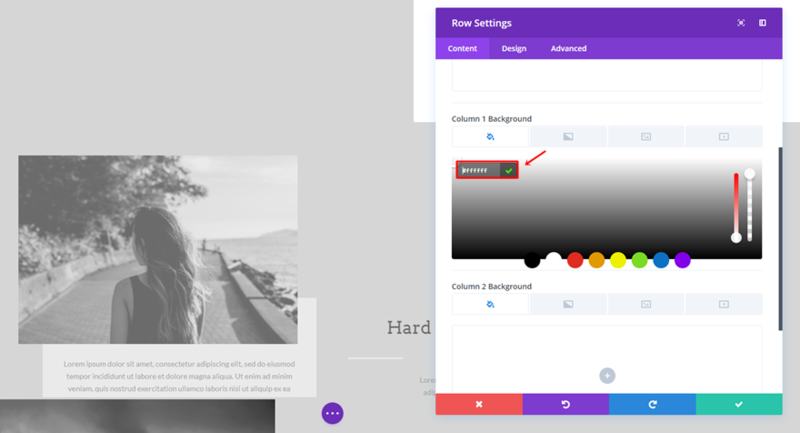 To mix the color overlay and the background image, choose ‘Multiply’ as your Background Image Blend. 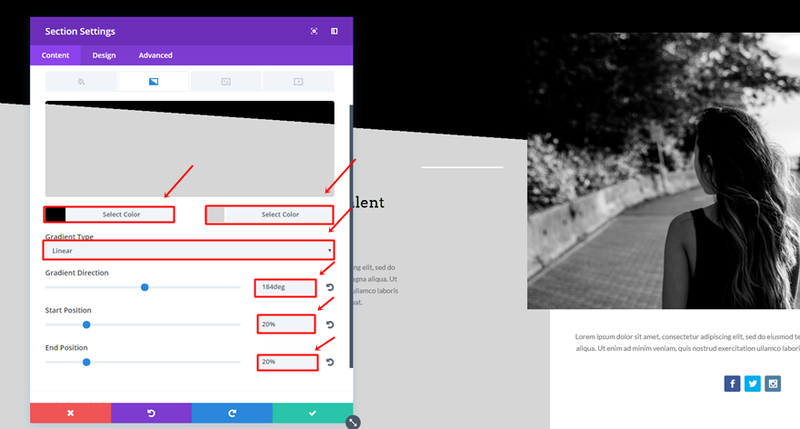 Like most websites, we’re going to choose a center row alignment for the hero section. We also want our row to be fullwidth, so we’re going to enable that option within the Sizing subcategory of the Design tab. 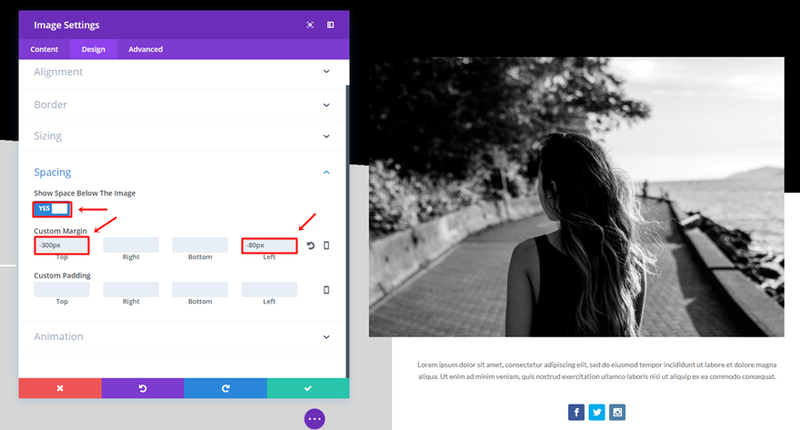 The last thing we’ll need to do within the row settings is add a custom padding of ‘300px’ to the top and bottom. Once the hero section is done, we can go over to the second section. For this section, we’ll be using the right row alignment instead of the center one in combination with custom margin and column backgrounds to create a beautiful effect. 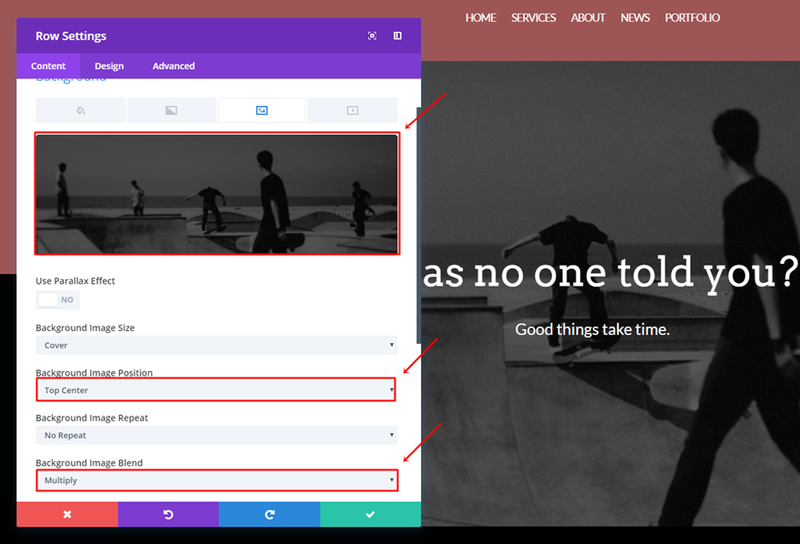 We’ll need to create two row versions within this section: the desktop version and tablet/phone version. 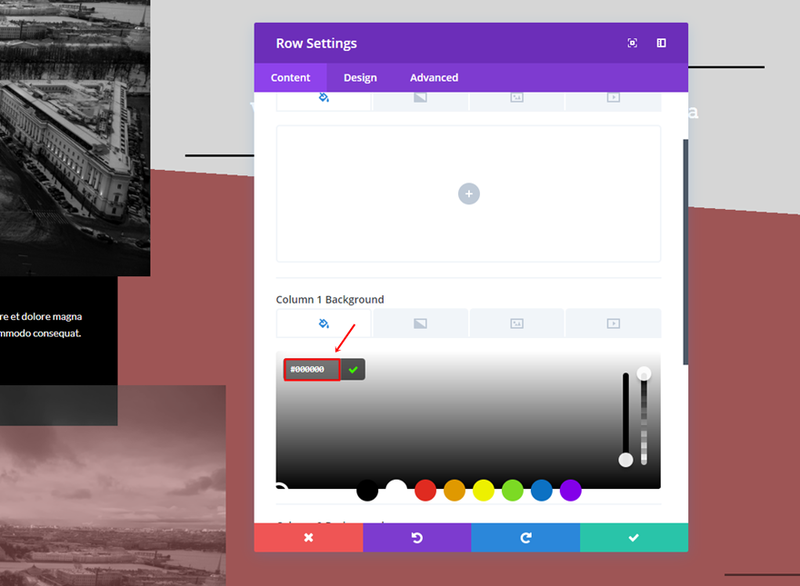 This will ensure that the design looks stunning on all kinds of screens. Then, you can go ahead and add a first two-column row to it; this row will be the desktop version. Luckily, we’ll be able to reuse most of it for the tablet/mobile version as well. 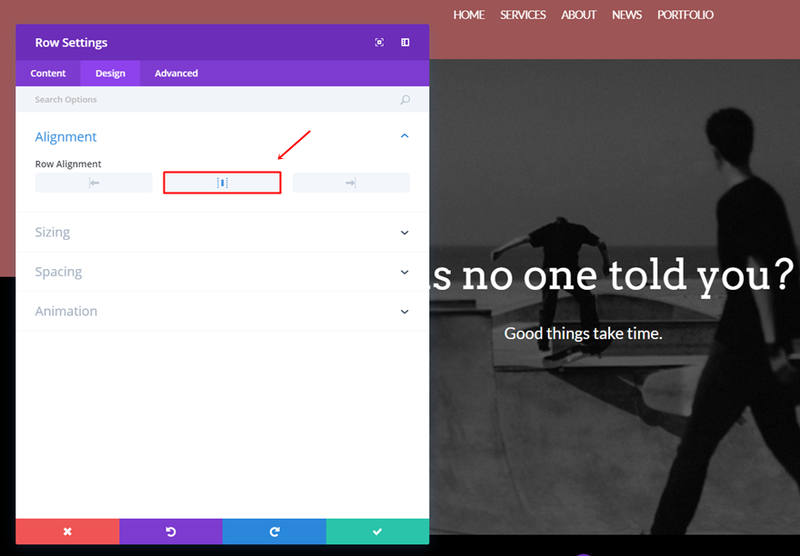 Within the Content tab, add ‘#FFFFFF’ as the background color of the second column. 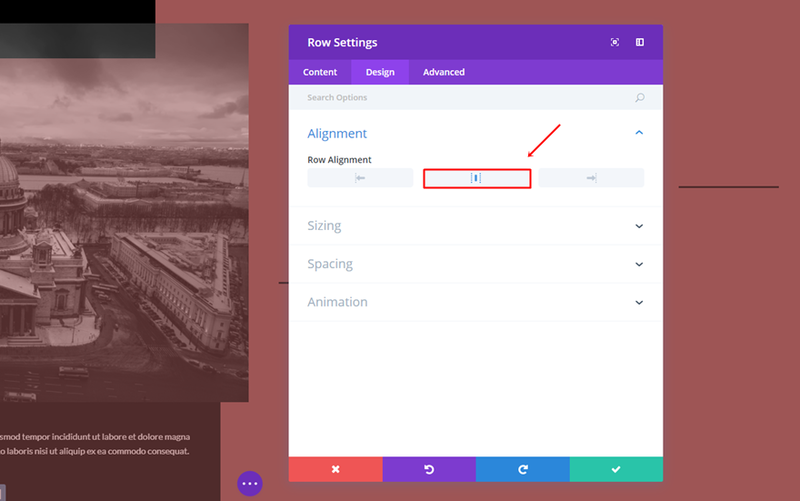 Move on to the Design tab and select a right row alignment. 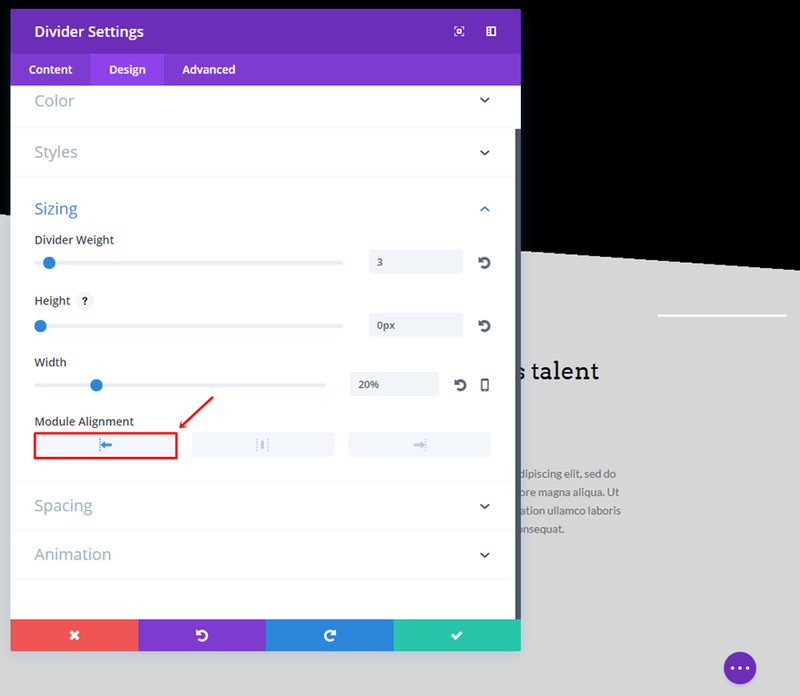 Next, open the Sizing subcategory and enable the ‘Make This Row Fullwidth’ option. For the first column, we’re going to start by adding a Divider Module. 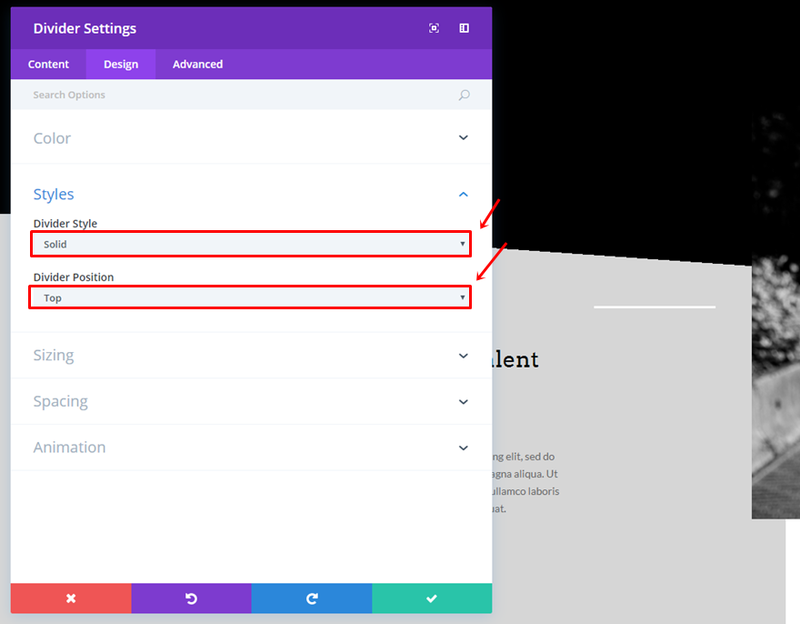 Within the Visibility subcategory of the Content tab, enable the ‘Show Divider’ option. 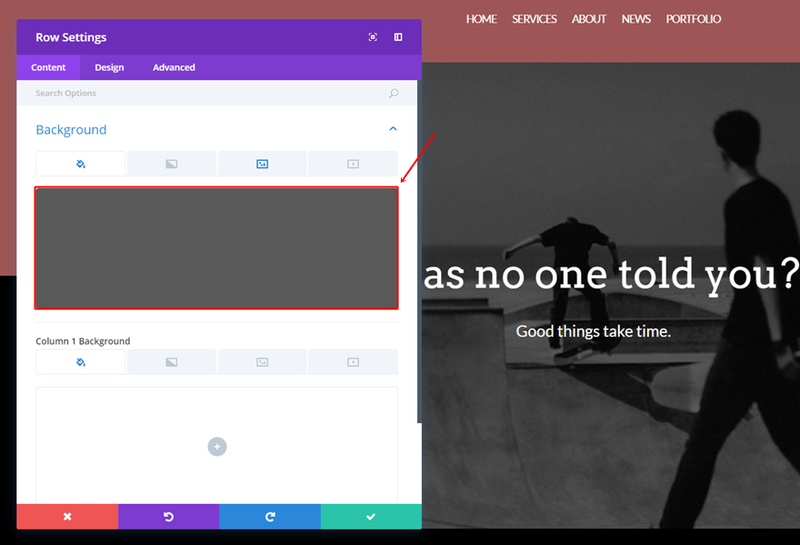 Move on to the Design tab and select ‘#FFFFFF’ as the divider color. 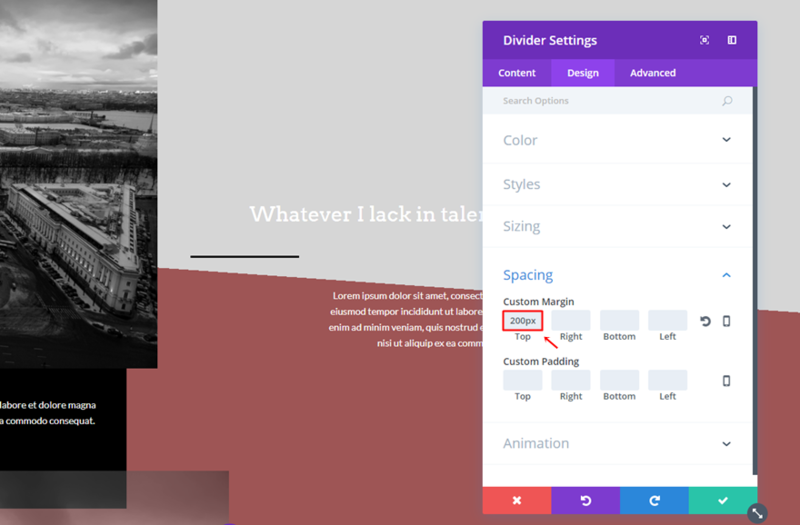 Then, choose ‘Solid’ as the Divider Style and ‘Top’ as the Divider Position within the Styles subcategory. Clone the Divider Module we’ve created and position it right below the first Text Module. 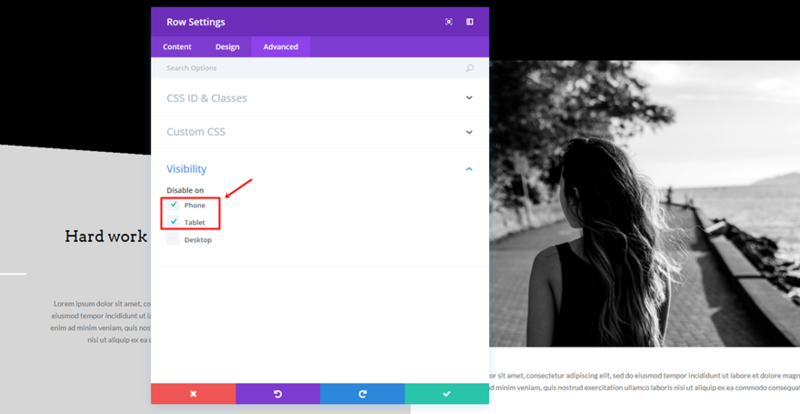 The only thing that has to be changed is the Module Alignment in the Sizing subcategory. Instead of having it on the right side, choose the left. 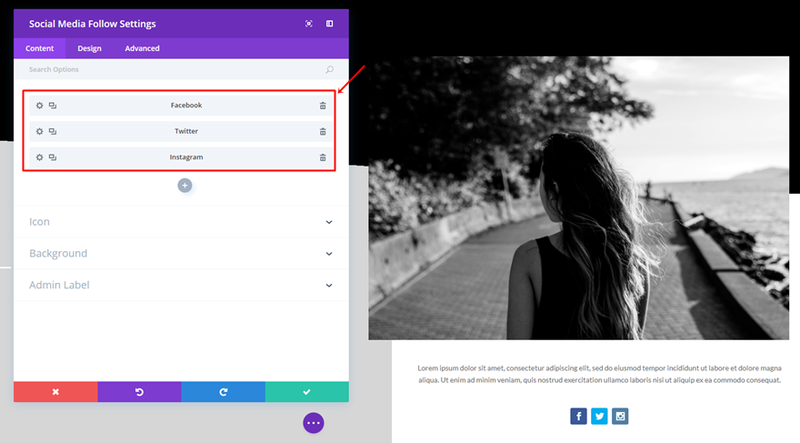 The last thing you’ll need to add to the second column is a Social Media Follow Module. 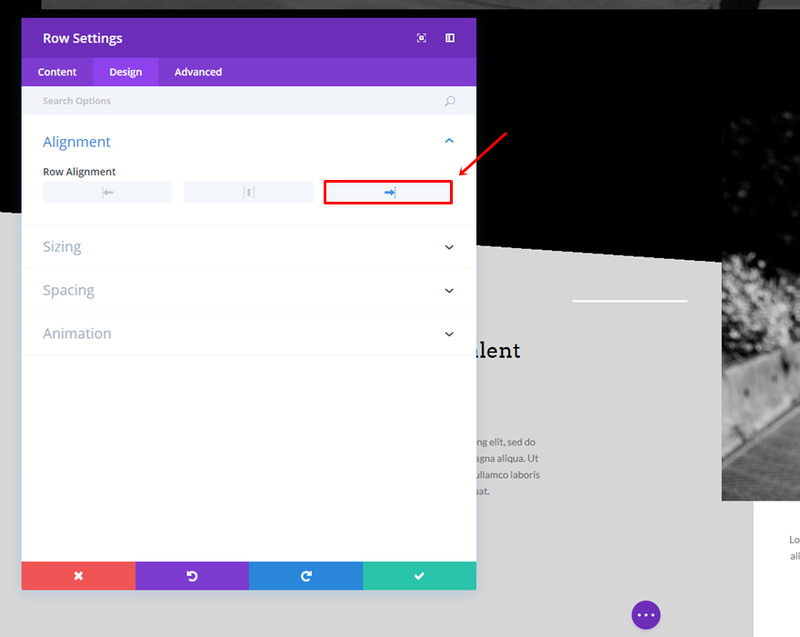 Add as many social icons as you want and make sure you select ‘Center’ as the Item Alignment within the Design tab. 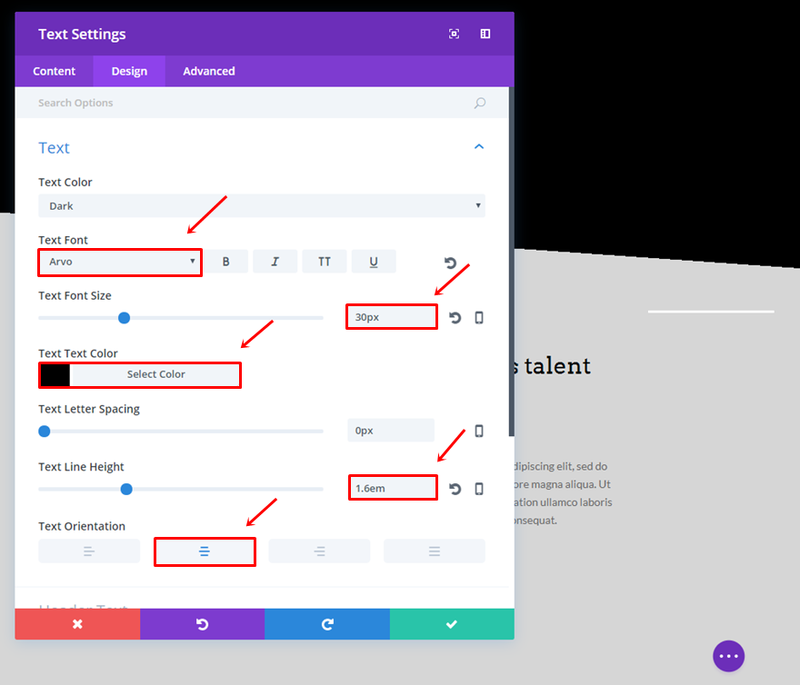 Once all that’s done, you can go ahead and disable the row on Phone & Tablet. Now that we’ve already made the Desktop version, making the Mobile version will go a lot quicker. Clone the Desktop row and follow the next steps. Start by switching the modules that are located in both columns. Afterwards, remove the background color of the second column and place it in the first column instead. Instead of having the Custom Padding in the second column, we’ll need to have it in the first column. 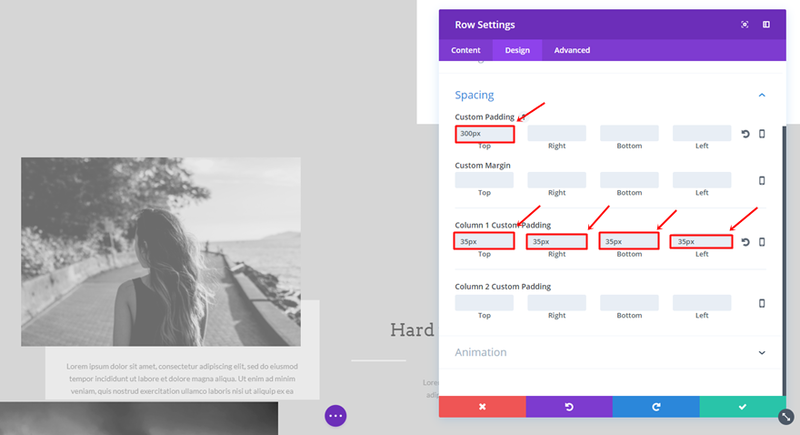 Besides, the bottom padding isn’t ‘150px’ but ’35px’ like the top, right and left padding. Then, we’ll also have to change the row alignment into ‘Center’. 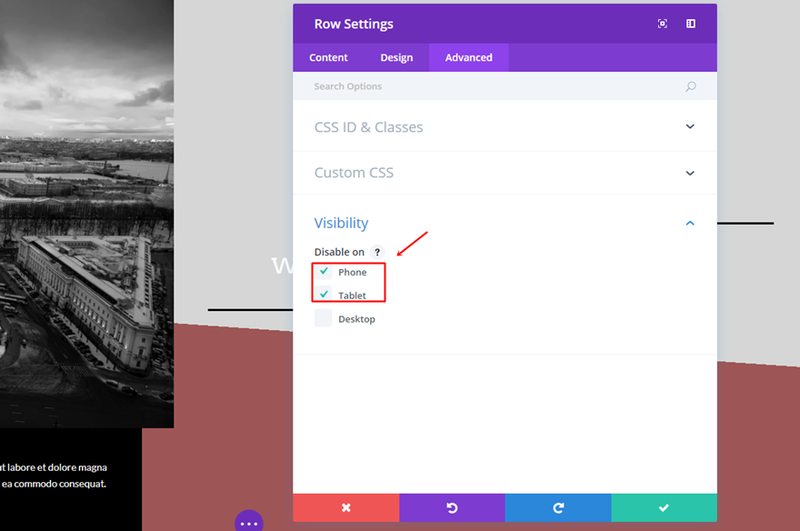 Last but not least, make sure the row is disabled on Desktop. 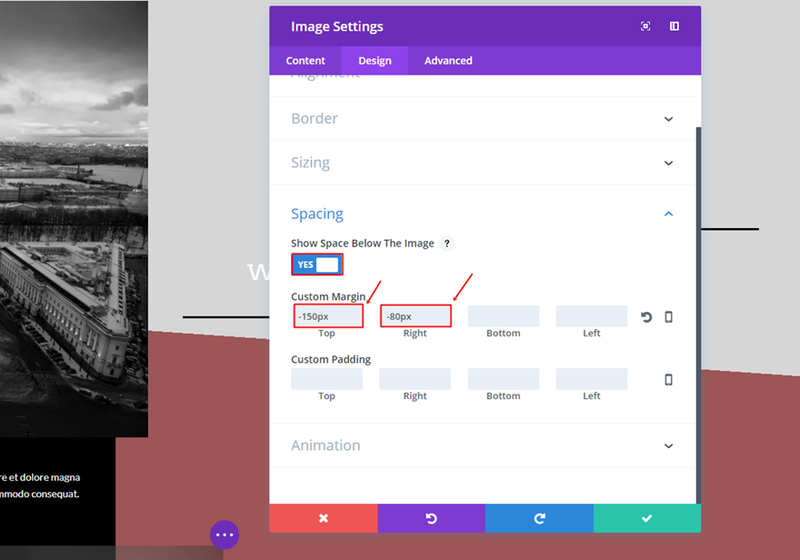 Then, add a custom margin of ‘-200px’ as well. Same way of working counts for the third section; we’re going to make a desktop and tablet/phone version. 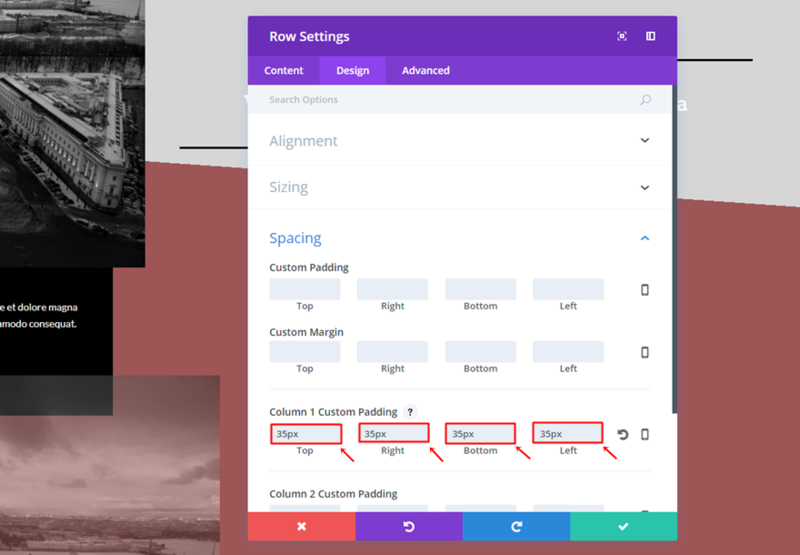 Start by cloning the Desktop row of the previous section. Most of the settings are the same and we’ll go over the changes that need to be made. One of the changes we need to make is switching the modules that are located in both columns. 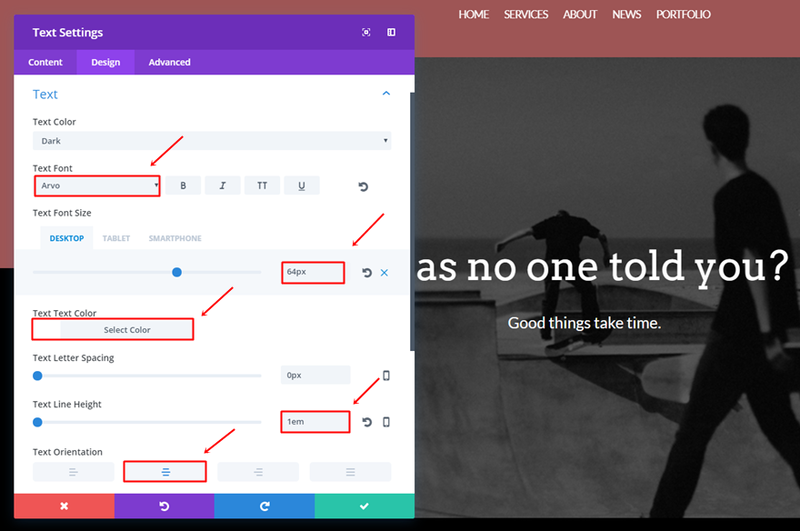 Then, we’ll also need to remove the second column background color and add ‘#000000’ as the first column background color. 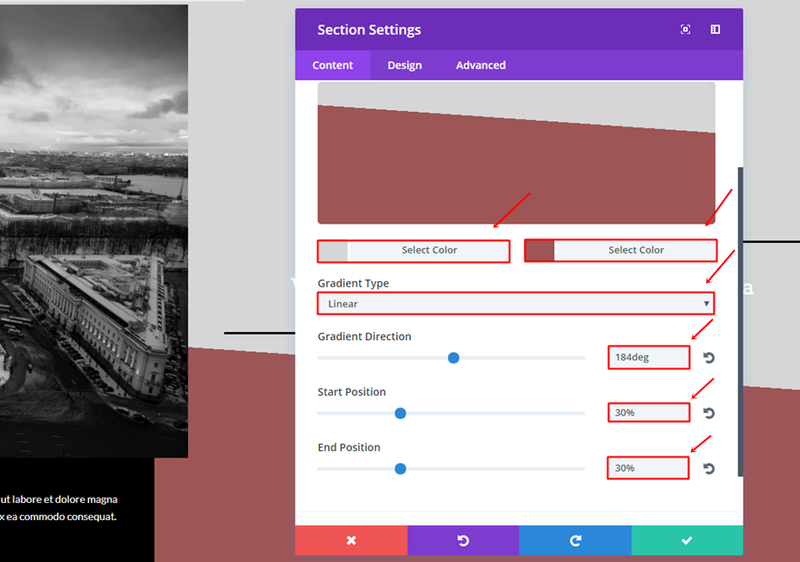 Delete the Column 2 Custom Padding and use ’35px’ for the top, right, bottom and left custom padding of the first column. 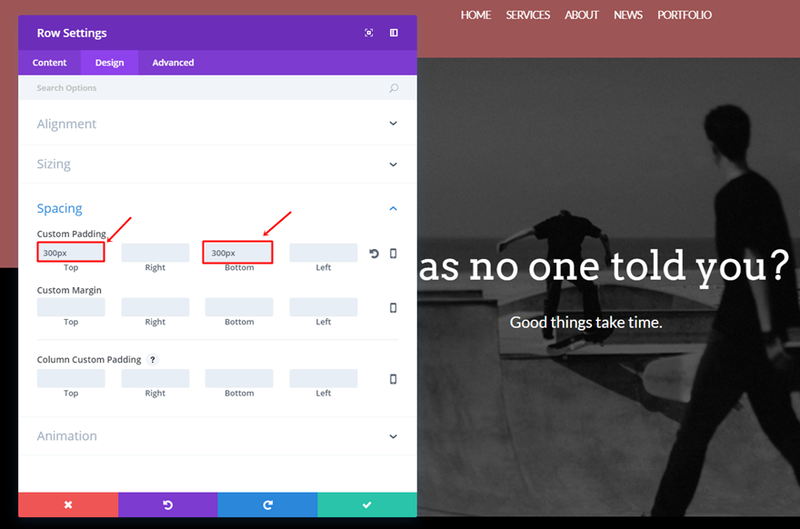 Also, change the row alignment from right to left. 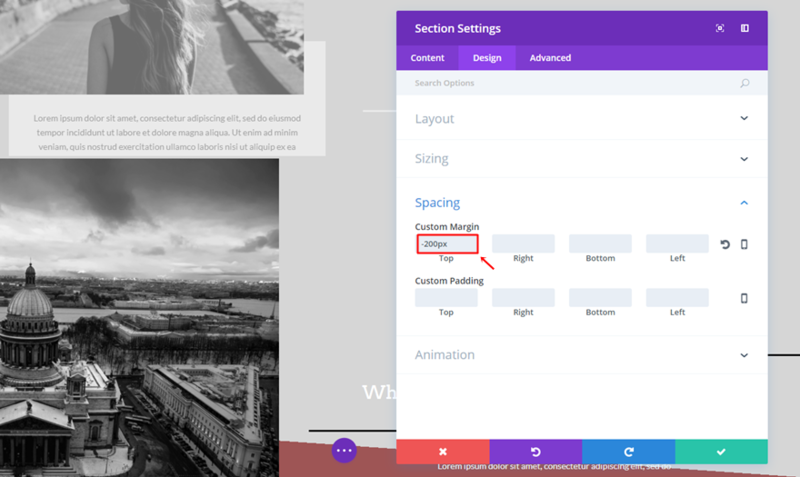 Next, add a top margin of ‘200px’ to the first Divider Module within the second column. As you can notice; the use of colors is the opposite of the second section. Go ahead and change all the font colors into ‘#FFFFFF’ and the divider colors into ‘#000000’. 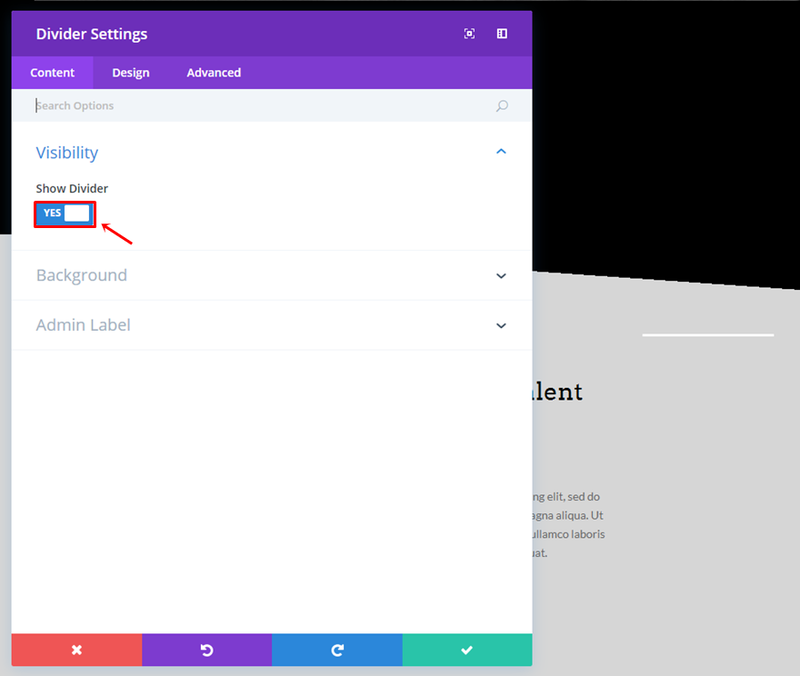 Although the row is already disabled on tablet and phone (because of the clone), you can go to the Visibility subcategory if you want to make sure. For the Mobile version, clone the Desktop row you’ve just created and make the changes that follow in the next part of this post. 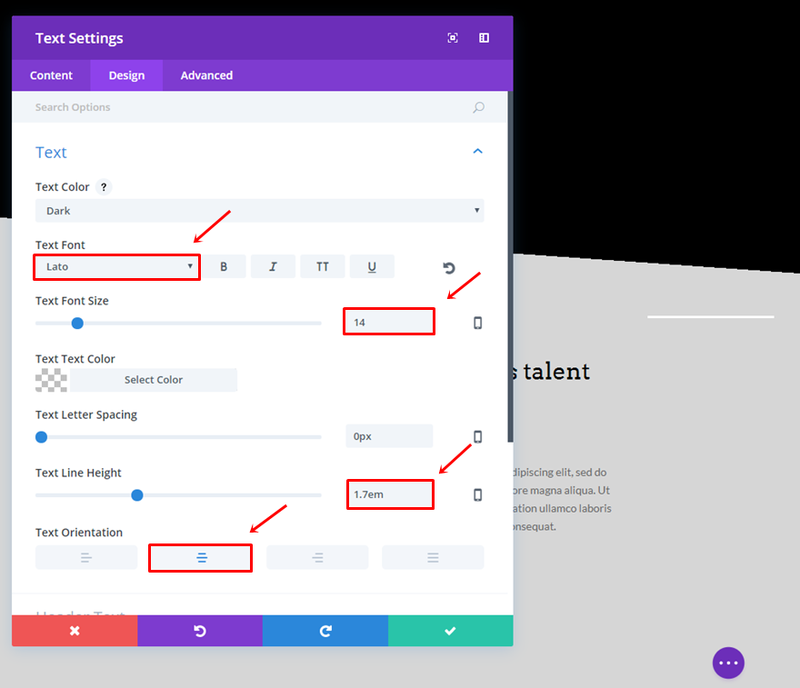 Open the row settings and change the Row Alignment to center. 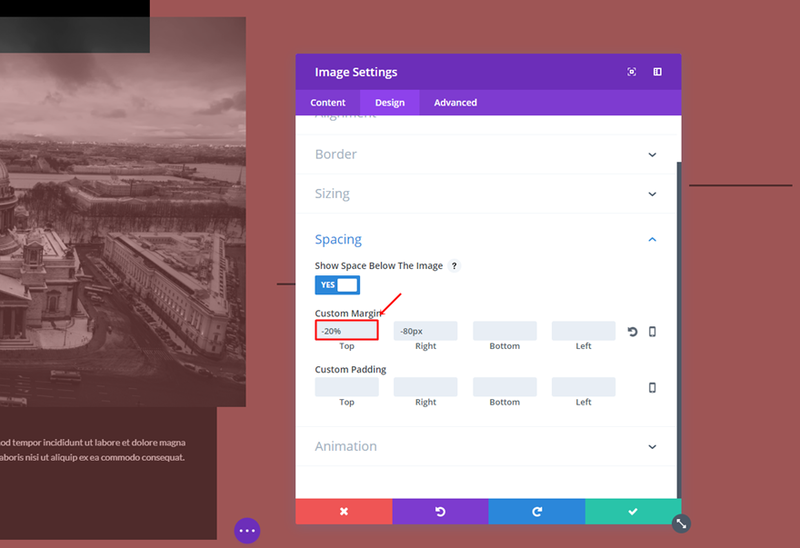 Another thing you’ll need to do is change the top margin of the Image Module into ‘-20%’. Last but not least, make sure that this last row is disabled on desktop. 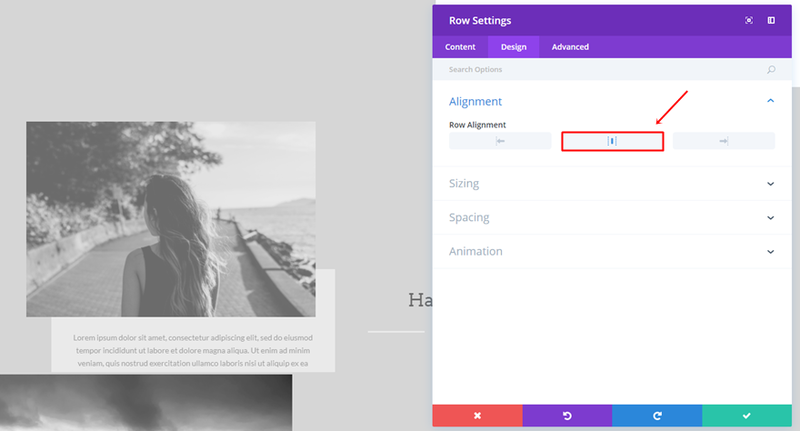 In this post, we’ve shown you how you can creatively use the different alignment options of rows within the Divi Builder. People learn the most by doing, that’s why we’ve provided you with an example which we showed you step by step how to create. If you have any questions or suggestions; feel free to leave a comment in the comment section below. Great Inspiration – Thank´s a lot ! 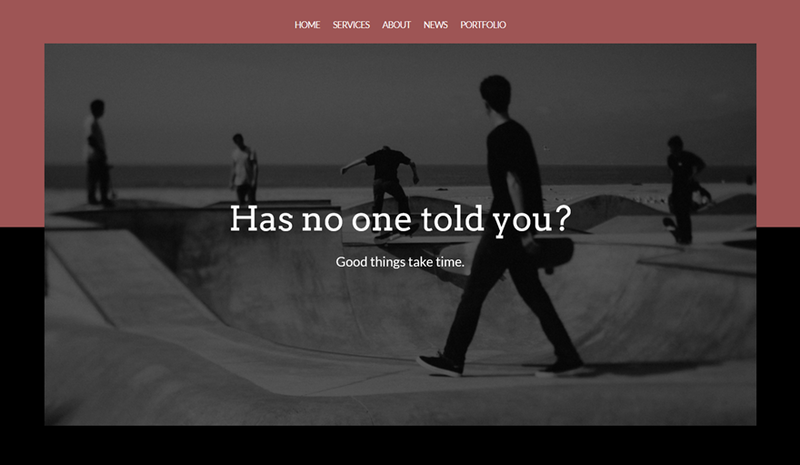 If it wasn’t for Divi we’d still only be using Squarespace. 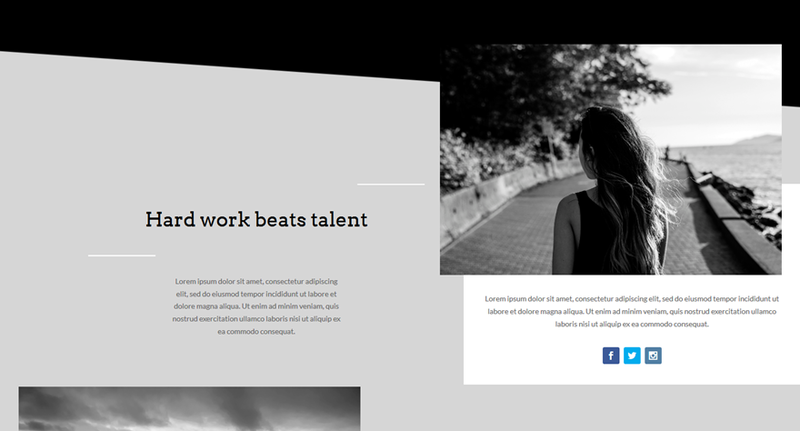 Since the release of Divi 3.0 we’ve created some of our best websites to date and these new features have blown open the door to many more creative possibilities. Thank you! This looks so great! Thanks so much for the tutorial!! nice options…, also request you to create options where we can add family tree [Genealogy] modules on our sites using divi. Another great tutorial to achieve different designs. Thanks a lot, Mak/ET! Thanks for your amazing effort in putting this post together! I certainly appreciate it, thank you. This is great – I had no idea that this effect could be achieved so simply! Thank you! A lot of new usefull features. Great! 🙂 I used rows, sections, modules minus margins etc. 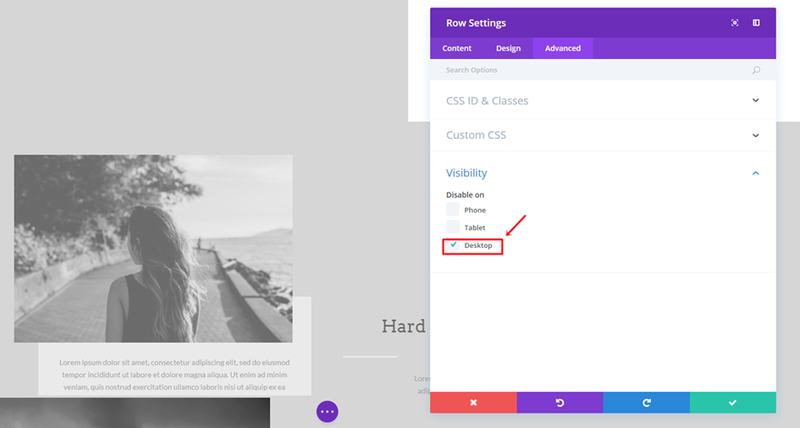 on websites with previous Divi version. It was hard to complete, specially for mobile but effect was very satisfying. 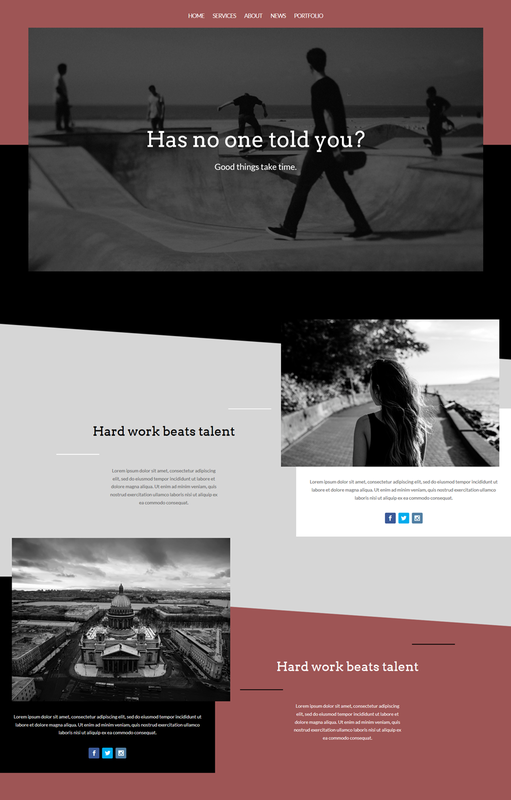 Looks great specially with collage type of layout. I’m looking forward to giving this a go! Thank you for such clear instruction. I´m surprised how fast everything loads on your page, every time you upload an image or even you create new section, everything pops up on your screen, so could you tell what speed internet connection are you using and how much memory your computer is using to go that fast? The X refers to the operating system of your machine that can be Windows (WAMPP), Linux (LAMPP), Mac (MAMPP). Then your local test domain can call it whatever you want: localhost, mak-dev, etc. Another way (somewhat slower) would be to install on your PC a virtual machine like VirtualBox and install your entire web server from scratch. It is an operating system running inside another. 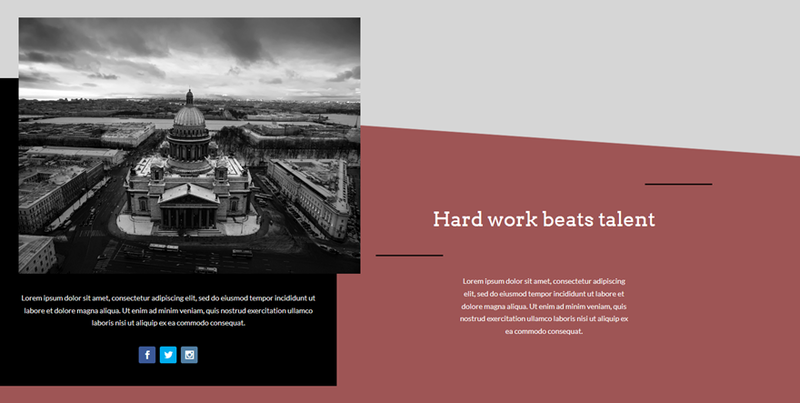 Which can be an accurate image (for test) of your production VPS. 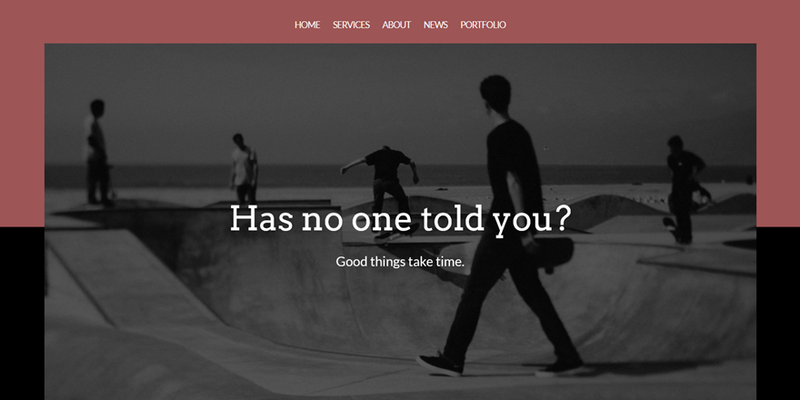 I love the way this looks and really wanted to create it for a seamless about me page. Unfortunately I get through the tutorial and I do not have an ALIGNMENT option on my design pages. 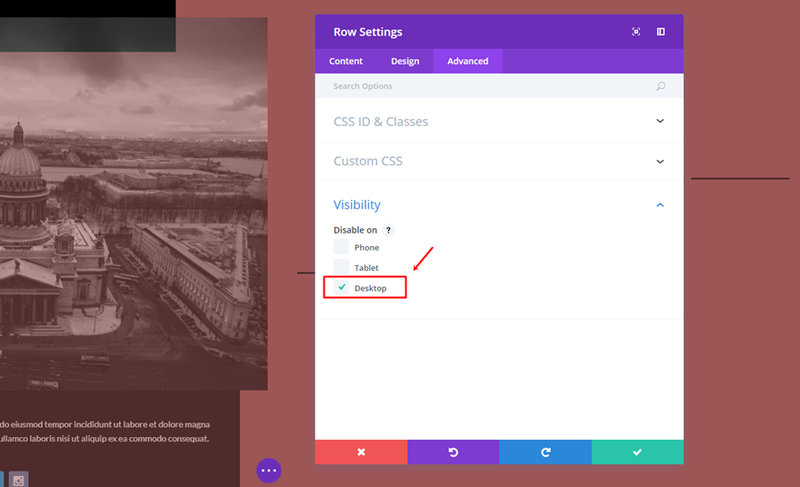 I have chosen update on my divi builder is there something I am suppose to do? Really nice tutorial, so many possibilities now !